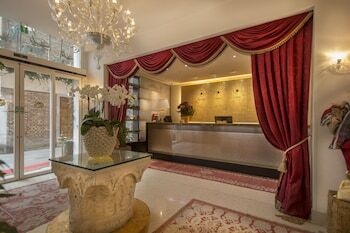 With a stay at Hotel A LA Commedia in Venice (San Marco), you'll be within a 5-minute walk of Rialto Bridge and St. Mark's Square. Featured amenities include complimentary wired Internet access, a computer station, and complimentary newspapers in the lobby. When you a stay at Appartamenti Lumaca in Livigno, you'll be near ski lifts, just steps from Valtellina Ski Area and Livigno Ski Area. Free self parking is available onsite. Monti apartments - Colosseo area offers accommodations throughout the area in Rome. Featured amenities include multilingual staff and luggage storage. Heart Milan Apartments - Fiera City offers accommodations throughout the area in Milan. Self parking (subject to charges) is available onsite.